Thank you Corrinda for the review. It was a pleasure getting to know your family and working with you on your magical day! Best of Luck to you and Denton! Kelly was absolutely amazing and made our wedding extremely easy! The venue was gorgeous and the food was incredible! She was so flexible and literally made our dream wedding come true! The staff was also very friendly and accommodating to everyone. I can't imagine having gotten married anywhere else. Amanda and I thank you all! Thank you Kendra! It was our pleasure to work with you both. Congratulations again. Kelly at the Legends was professional, helpful, and just a joy to work with. The venue is a great value in every way. She can help with suggestions for vendors, and other ideas. The food was amazing and she was accommodating to a few special requests. If we were to do it again we wouldn't hesitate to call Kelly at the Legends Golf and Country Club. Thank you Laurie. It was a pleasure working with you and Michael. Best Wishes. Kelly was absolutely amazing with work with during the planning and execution of our wedding. We are overly thankful for her flexibility, support, ideas, and organization. Our big day went through without any issues, and if there were...she took care of it immediately. I am forever appreciative for Legends, Kelly and Mike, and the staff at Legends for making our big day not only a memorable one for us, but for all of our guests that have attended. Please consider this as your top vendor choice, it will exceed all your expectations! Thank you Legends Family! Thank you Jessica and Frankie! It was a pleasure to be a part of your magical day. The Legends was absolutely amazing to work with. Not only is it a beautiful venue but the staff is so helpful and accommodating. Wedding planning can be stressful but the Legends made it as stress free as possible. We are so glad we chose the Legends for our special day!! Thank you Katy! It was a joy meeting you and your family and a pleasure being a part of your special day. Legends Country Club was a beautiful venue to have our wedding reception. It was economical, the food was delicious and Kelly was especially wonderful following up to make sure our special day went smoothly. Thank you Kim & David! It was a pleasure being a part of your special day! Congratulations again. I absolutely loved getting married here, kelly was awesome to work, she met me as many times as I needed to, to feel comfortable and prepared with everything. She was such an awesome help! The country club is beautiful, very clean and the food was amazing. I would highly recommend this place to get married at. I wouldn't have changed a thing about my special day it was perfect! Thank you Jamie & Matt! It was a pleasure meeting you and your families and being a part of your magical day! Superior venue! Kelly is so helpful, kind, and professional. We had a wonderful time working with Kelly and Michael; our son's wedding day was perfect. The staff was very attentive and exceptionally pleasant..... I can't remember when I've experienced such a high level of service. Congratulations to Kelly for receiving her wedding planners certification ! Thank you Rebecca! It was a pleasure meeting you and your family! Kelly is a delight to work with: professional, organized, with lots of creative ideas. The menu selections and quality of the meals at Legends was so delicious - our guests repeatedly expressed how much they liked their food. The building and grounds of Legends are clean, manicured, and relaxing. We could not have had a better place for a wedding! (Both the ceremony and reception were at the Legends). I highly recommend this venue and staff to plan and host the most important day of your life! Thank you so much for taking the time to review Legends. It was a pleasure working with you. Congratulations!! We had our daughters wedding reception at the Legends just a few weeks ago and everything was wonderful!!! Kelly was perfect to work with. Very helpful and sweet as ever! We were pleased with how everything worked out. The reception room was decorated so beautiful and the food and service was perfect!! I can't say enough about Legends!! A beautiful place to celebrate a very special day! Thank you Kelly for everything!! We love you! Thank you Heidi for the review. 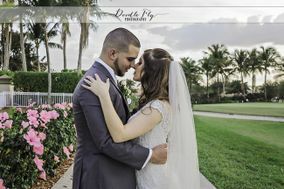 It was a pleasure to be a part of Brianna & David's special day. You have a wonderful family. We LOVED having our reception at Legends. Kelly is so wonderful to work with. Defiantly recommend Legends! Thank you Brianna. I enjoyed working with you and your family. It was a pleasure being a part of your special day. It was what i always dreamed of the best day of my life. Thank you Steve & Candi! It was a pleasure to be a part of your magical day. Congratulations again!! Easiest event we ever had to plan! We were looking for a nice venue for a graduation party and it worked out perfectly for a very reasonable price. Thank you for the nice review. We appreciate your business and hope to work with you again. I could not ask for a better venue or more professional service and so accommodating. Excellent food also. Thank you Mollie for the review. I enjoyed working with you. If you ever need a venue in the future, please do not hesitate to contact me. Loved the venue and enjoyed working with kelly and micheal. Thank you Letitia and Chuck for the review. It was a pleasure being a part of your special day! Kelly and Michael are amazing, Kelly the event coordinator is so nice and helpful,and Michael is great and will do his best to work with your budget I absolutely recommend them if you want to have helpful people and amazing food for a great price. Thank you Kelly and Michael. Thank you Marie. We are looking forward to a magical day! Kelly was absolutely amazing!!!!!! From start to finish she paid attention to detail and addressed any questions or concerns that we had. She made what could have been an extremely stressful situation very easy and uncomplicated. Her experience really helped us all the way through to the wedding day. Even on the day of the wedding she was hands on with everything and was always available. As the mother of the bride I was in contact with Kelly very often over the year it took to plan everything and she helped in every way possible. Thank you so much Kelly for being the consummate professional. Thank you for your review! It was a pleasure working with you and Marie! Thank you for letting us be a part of your special day! Ever since I was referred to this venue I have been completely in awe of not only the venue and all they they offer but the amount of professionalism that is given. Kelly is the wedding coordinator, she is AMAZING!! She has always went way above and beyond for me and has done everything to make my special day prefect, just as she will do for you! I can't even begin to describe the beautiful breath taking views the country club over looks the beautiful pond surrounded by gorgeous landscaping from the golf course. From the moment you walk through the doors you are immediately welcomed and considered family. If you haven't found a venue yet well look no further Legends has everything your looking for and so much more! Thank you for reviewing Legends last year! It was a pleasure working with you and your family. Our wedding expirence at the Legends was absolutely amazing. Mike and Kelly were extremely helpful and said yes to all our requests. More importantly, they did it with a genuine desire to make our wedding perfect. Our guests were amazed with how delicious the food was - the Chef is amazing! The service staff, both waiters and bartenders, were extremely polite, professional, and friendly. JP is the best waiter I have ever met. We strongly recommend this place as your venue. Thank you Veronica & Felipe! Our Company Senior Choice at Home has been using Legends Country Club for our seminars/luncheons for the past year. I cannot tell you how happy we are with the Banquet services provided to us. Kelly Leonard and Mike Snyder do an outstanding job pulling everything together as we constantly keep making changes. Kudos to both! Beautiful Club and the staff, chef, servers, etc. are all outstanding. Thank you Legends!